Warning - This Jewellery Should Carry A Health Warning! Shoppers are being alerted to a potential health scare involving counterfeit designer jewellery that may be on sale in the borough. 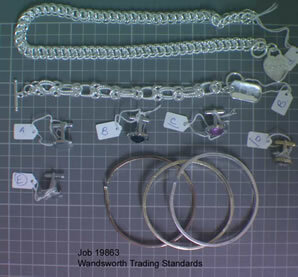 Trading standards officers have issued the warning after discovering high levels of nickel in fake jewellery and cufflinks confiscated as part of an ongoing investigation into the sale and manufacture of pirate goods. The hazardous items were recovered as part of a huge haul of jewellery that was seized during a raid on a private address and a storage unit in Battersea. Fake designer jewellery, handbags, watches and sunglasses with a street value of around £2m was confiscated in the raid. The goods were being sold at markets and car boot sales in Wandsworth, Kempton Park, Bovingdon, Wembley and Dagenham, as well as on the internet and from stalls in shopping centres across the south east. The counterfeit labels included Dior, Bulgari, Tiffany, Links of London, Cartier, Mont Blanc, Ray Ban, Chanel, Louis Vuitton, Patek Phillipe, Rolex, Gucci, Pandora and Swarovski. A lot of the jewellery bore false hallmarks and tests commissioned indicate it is gold or silver plated brass. One man is currently on police bail while the investigation continues. Nickel poisoning can cause cancer and in extreme cases can be fatal. 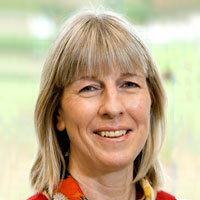 Symptoms include nausea, vomiting, abdominal pain, diarrhoea, headache, coughing and shortness of breath.